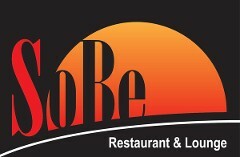 There are few restaurants in PG County that reflect the elegance, style and taste of SoBe Restaurant and Lounge. This article will shed more light on this wonderful dining establishment and the proprietors Josette and Tony Simpson. Copa: How did you both meet? 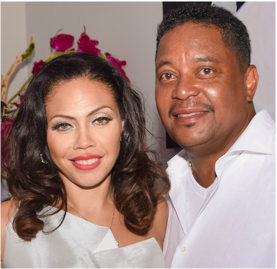 Josette: Tony (Anthony Ray Simpson) and I met through a mutual friend. He’s a businessman who doesn’t live in the area but he frequently comes to the area for business with the U.S. Government. He met Tony first, separate from me, and then I met this wonderful gentleman later. I was single at the time and he asked me, “How could you be single?” He told me that he had this friend that he would like to introduce me to. Tony and I talked over the phone within a week or so after that exchange. We have been inseparable ever since then. Josette: I was born in New York. My family moved to North Carolina when I was in junior high. I finished high school in North Carolina and within a year of me graduating, I moved down to Atlanta, Georgia, in 1996 during the Olympics. I had a fabulous time in Atlanta and I was there for a total of 14 years. I completed college and graduate school, so I left Atlanta for both of those programs. I moved to Maryland at the end of 2008. Copa: How about Tony? Where is he from? Josette: Actually, Tony and I have similar backgrounds. He was born in New York as well. His family is predominately from North Carolina. He spent a portion of his life going back and forth. His mother lives in Harlem, New York. His grandparents lived in North Carolina, just outside of Greensboro. He travelled often back and forth to both households. When you talk to Tony, you get that New York edge, but also that southern charm. So he has the best of both worlds, between New York and North Carolina. Copa: When did you and Tony get together on the idea of establishing SoBe’s? Josette: When we first started dating, I lived in Bethesda, Maryland and Tony lived in Mitchellville, Maryland. As I’m sure you are aware, there are many dining options in Bethesda and Washington, DC. When Tony visited Montgomery County for us to go out on a date, we had numerous options for dining experiences. However, when I visited him in Mitchellville, we had several limitations and I found that we were going to the same restaurants over and over again. Although the food was good at those restaurants, there was really no ambiance. I had become accustomed to nice, posh restaurants from being in Atlanta, Georgia and from living in the Bethesda/DC Metro area. It was very surprising to me that there was a lack of restaurants in that area with good ambiance, especially given the reputation that Prince George’s County has of being the wealthiest Black county in the country. This was shocking. Tony and I had this conversation frequently. I would literally drive 35 minutes to Mitchellville and then drive another 20 minutes back to Washington, DC to go to a nice restaurant. It became obvious that there were no options here. So as I met a lot of residents here in Prince George’s county, many of whom were Tony’s friends who had lived here all their lives, there was a common theme. There were no good restaurants in Prince George’s County. Everyone here accepted it. People would drive to Annapolis, Maryland to go to a nice restaurant, they would drive to Baltimore, or into the District of Columbia. After a couple years of hearing the same thing, my husband, who is a businessman and had been one for 25 years, said he would like to open up a restaurant in Prince George’s County. He looked at it as a business venture, instead of a restaurant. He’s not a chef. He’s not wed to the restaurant industry. It was more of a business venture. I’m a task-oriented person and a bit of an academic, so Tony said he needed me to help on this. Neither one of us have a background in the restaurant industry. So, my recommendation to him was if you’re going to do this, provide something that’s actually missing and needed. There is no need to compete with the status quo. 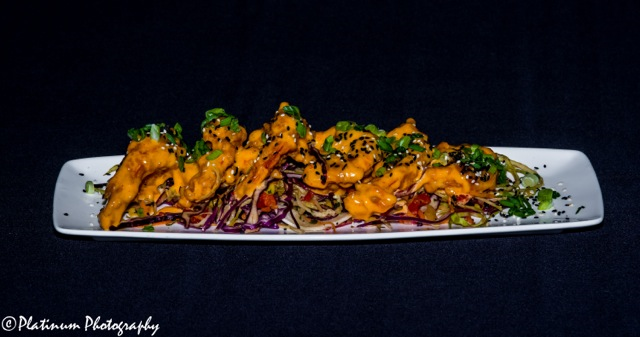 The restaurants that we have here are very popular and well established. People have been going to them for 20 years. I didn’t believe realistically that people would stop going to the same restaurants that they’ve been going to for the past 20 years to try our new place if our restaurant was similar to others. But if we did something different and more attractive, that would be a smarter business move. I was able to convince Tony to do something upscale instead of the run of the mill American style restaurant. After doing a lot of research and talking back and forth, we decided to move ahead with the project. Copa: How did you folks find this great location? Josette: My husband found the location. He believed it was central to several residential communities. Also, NASA has a campus of 10,000 employees. In addition, it is rumored that the new FBI headquarters will be positioned down the street from us. We like that it’s more centralized in the county near good businesses and good residences. The biggest complaint that a lot of people have is that if you do want a nice restaurant in Prince George’s County, then you have to drive way down to the National Harbor. That’s the very edge of the county. In fact, if you just go another quarter mile, you’re over a bridge in another state. If you don’t want to travel that far and deal with parking issues, you can stay centralized in the county and come to SoBe’s. Copa: How was the name "SoBe" chosen? Josette: SoBe’s stands for South Beach. Tony and I have a condo in Miami, Florida and we go there frequently. When you visit South Beach, there is a dynamic that’s very specific to that area. People look a certain way. They dress a certain way. Dinner is always significantly later than the rest of America. 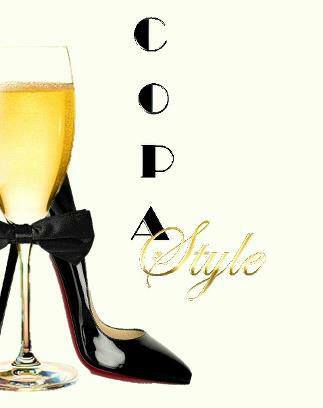 It’s a very cosmopolitan, chic feel. Fancy cars, fancy clothes and a lot of very nice restaurants. We’ve always enjoyed the nightlife in South Beach. We were trying to think of a unique theme for the restaurant. 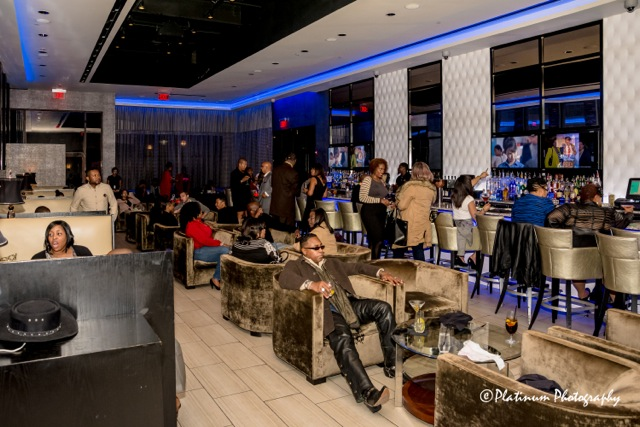 So we felt that if we could bring the South Beach feel here to Prince George’s County, then people would really enjoy it. Copa: Please describe to me the feeling of the food, the type of cuisine that you offer and its influences. Josette: We call our menu American Fusion because essentially its representative of all the cultures here in America. We didn’t want to do generic America cuisine. We wanted to do something very consistent with the restaurant theme of South Beach. If you go to South Beach, you will notice that it’s extremely diverse, with all nationalities. South Beach is on the water, so we knew we had to have a very strong seafood component. We also looked for culturally diverse menu options. You’ll see Cuban, Latin, Caribbean, and Asian influences to be consistent with the theme of multiculturalism… and of course Maryland Crab cakes! Copa: How does SoBe blend in with the community around it? What are your views on that by design? Josette: The most common thing that I hear from our patrons is thank you for building this place. We really needed it. There were no Black-owned establishments in Prince George’s County that catered to the more sophisticated clients here in PG county. Everyone was tired of leaving their communities, going to Baltimore or Annapolis and spending money there. They were very grateful to have a place in their neighborhood where they could come. There’s a real sense of pride in supporting Black owned businesses in this community. The patrons will tell us that they are coming specifically because they want to support our business. We’ve had an enormous amount of support from the county and the residents of Prince George’s County. 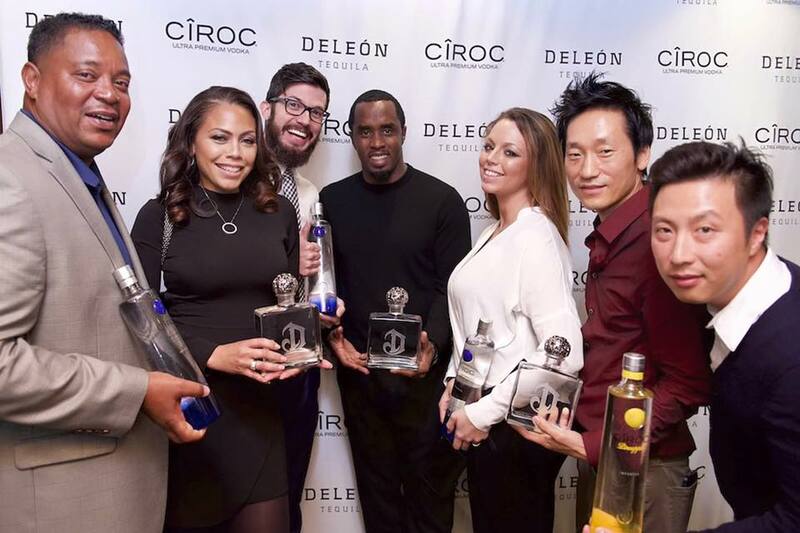 Tony & Josette attending a Ciroc event with "Puffy." 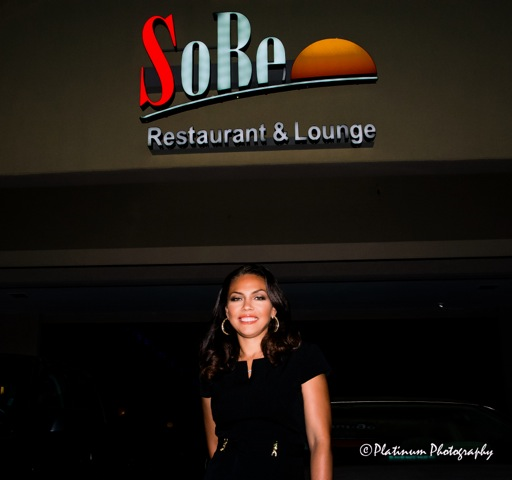 Copa: What does the future hold for SoBe Restaurant and Lounge with Josette and Tony Simpson? 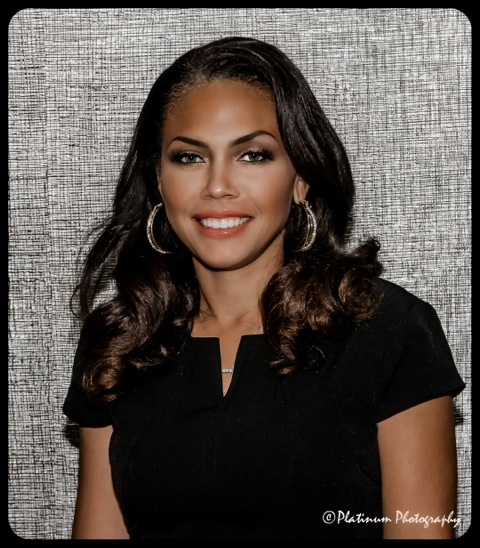 Josette: We are trying to stay consistent to what we promised, which is to provide an upscale restaurant with a high level of service and high-quality food. 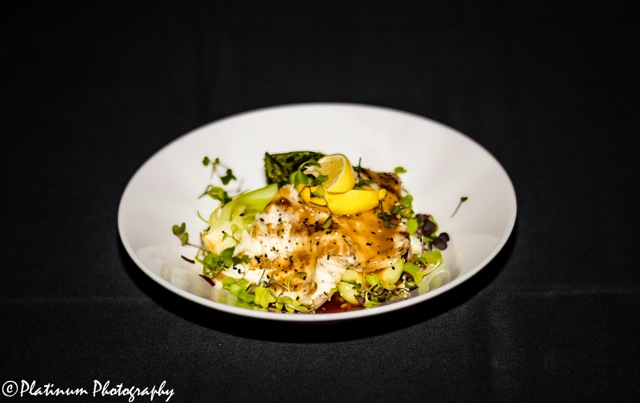 We have received a lot of feedback that people would like to hear live music while they dine. So we are considering having a jazz ensemble on Saturday nights. In terms of Josette and Tony, we are hoping to stabilize the restaurant with a strong management staff. We both have separate careers outside of SoBe’s. So we would like the restaurant to be managed by our management staff, and we’d like to pursue our other interests, and maybe even get some vacation time in!